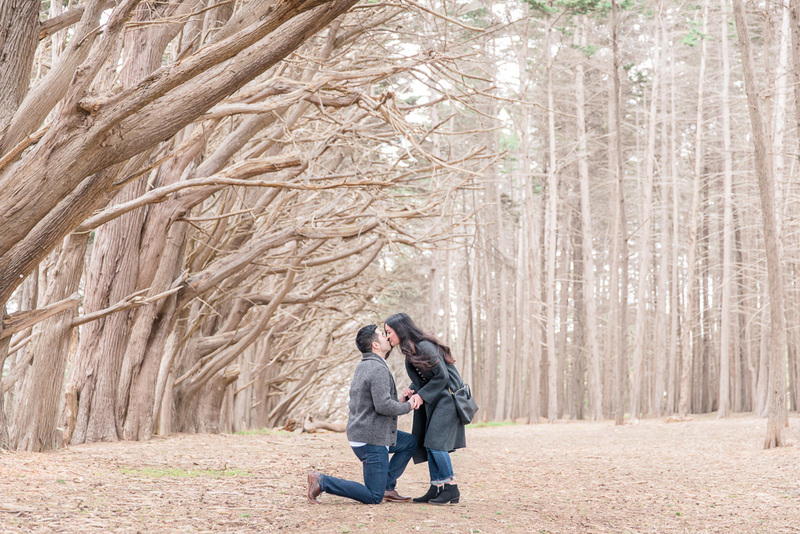 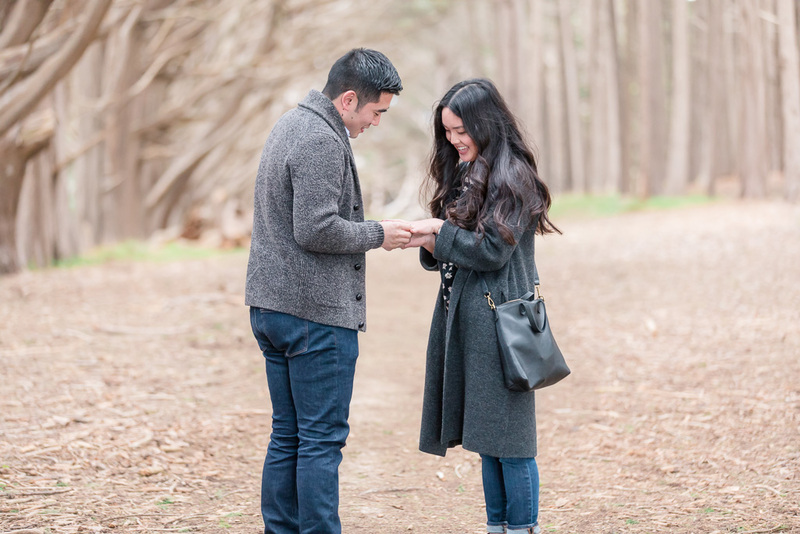 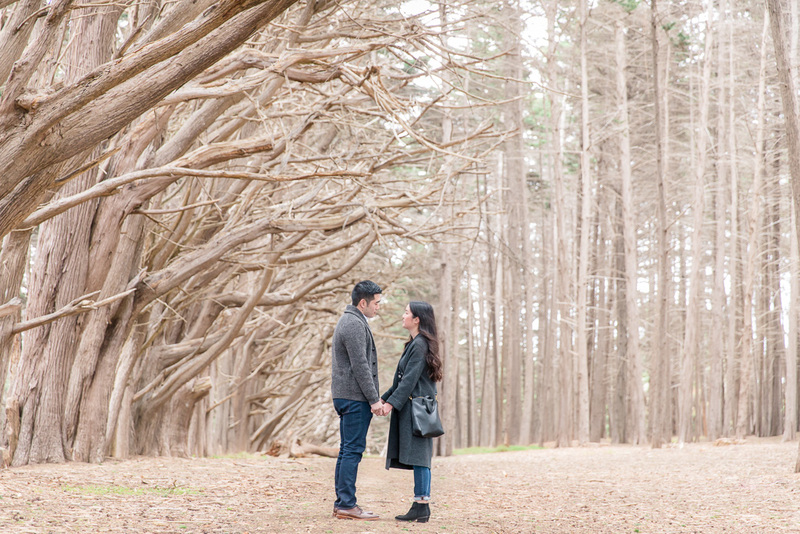 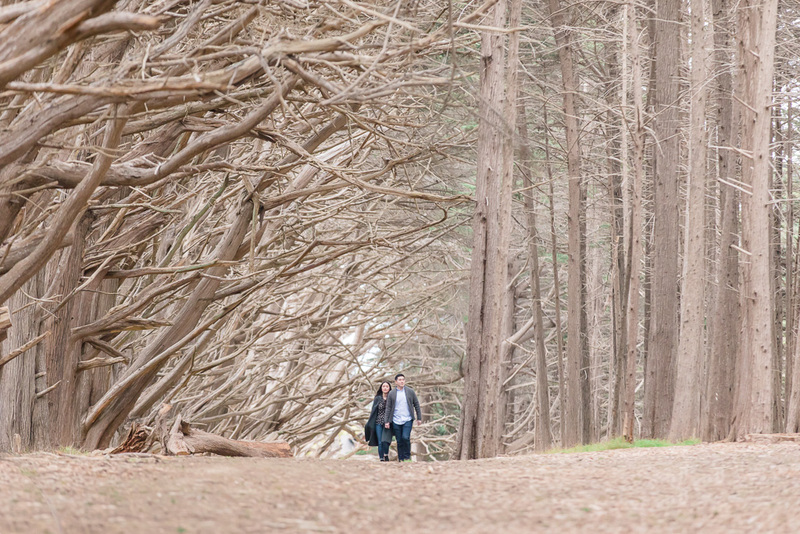 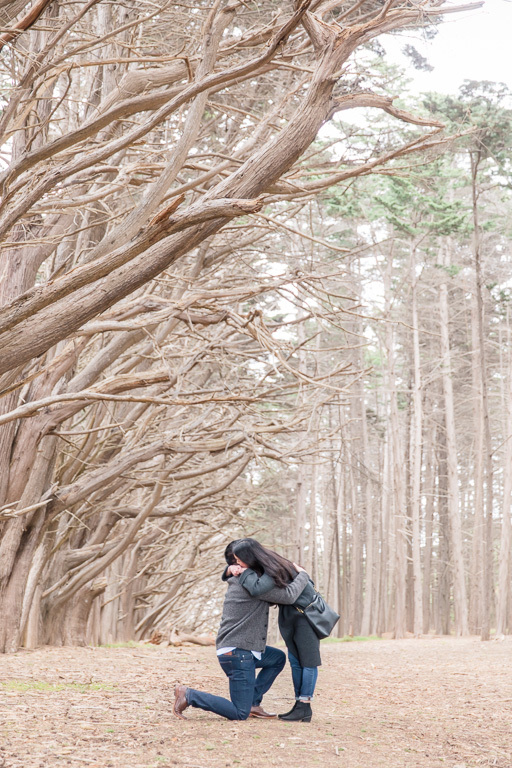 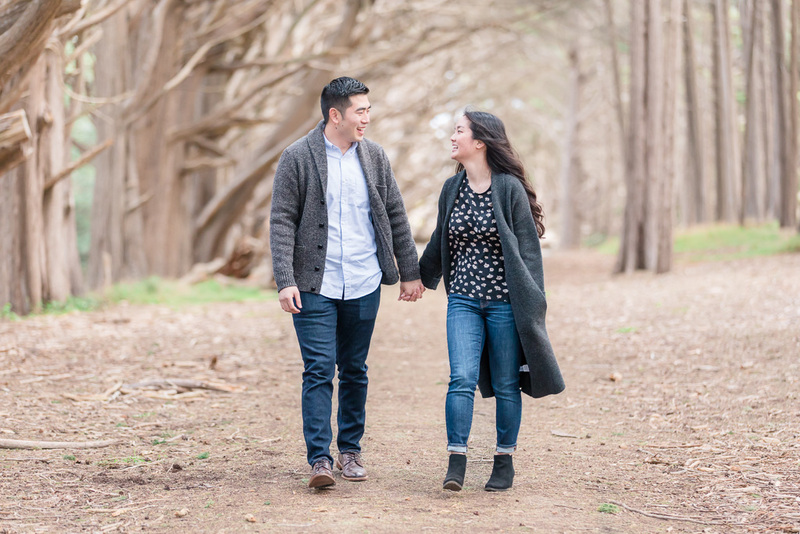 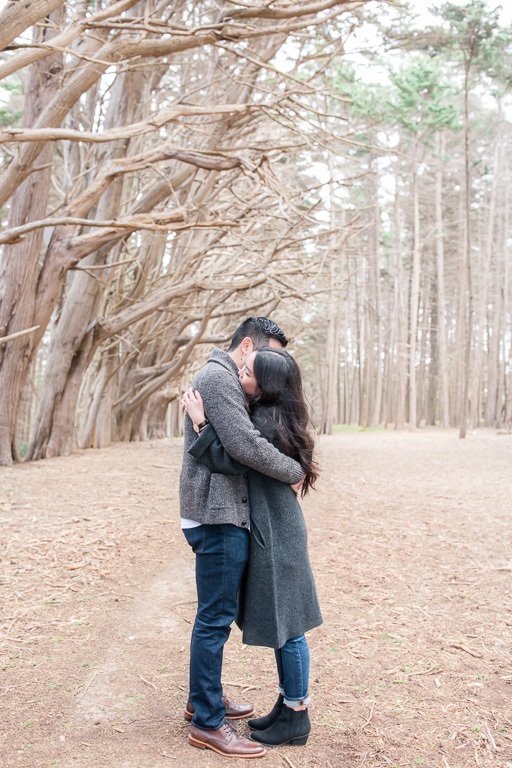 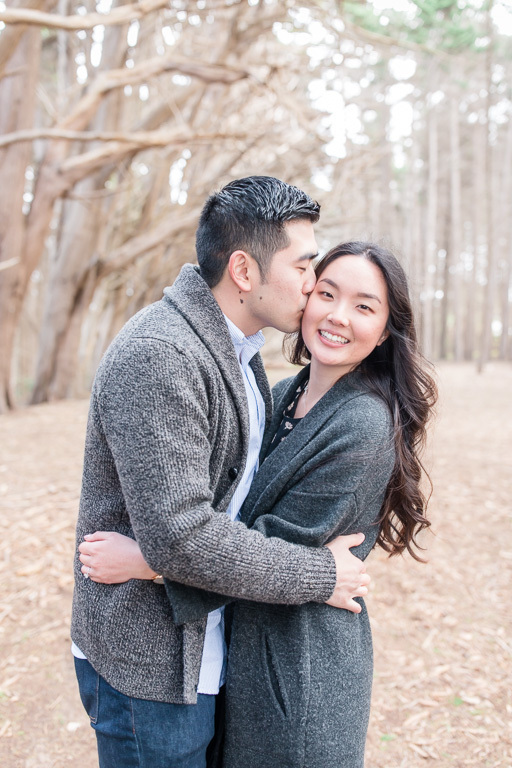 After planning for months and discussing ideas with me, James flew in from New York and scouted out the Half Moon Bay forest a few days prior, so he knew just the right spot where he wanted to propose. 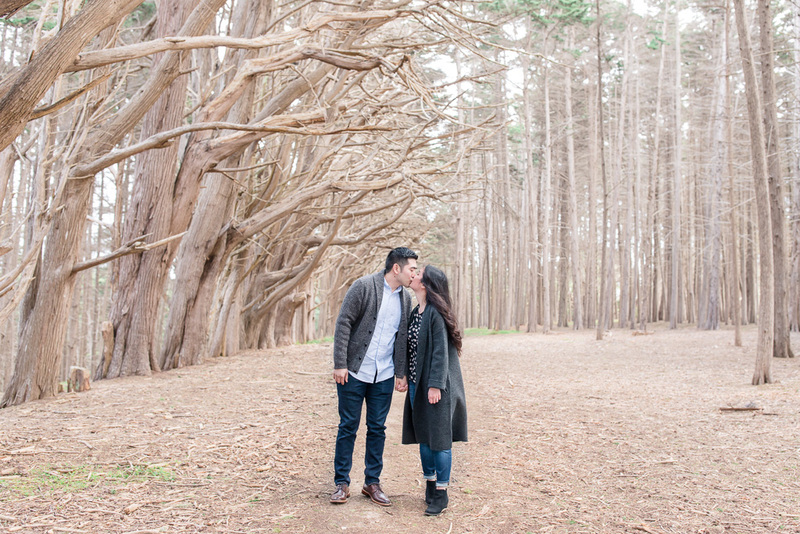 But first, he had a perfect day planned for Grace, including a walk along the beach further north, before heading over to Moss Beach to watch the ocean waves. 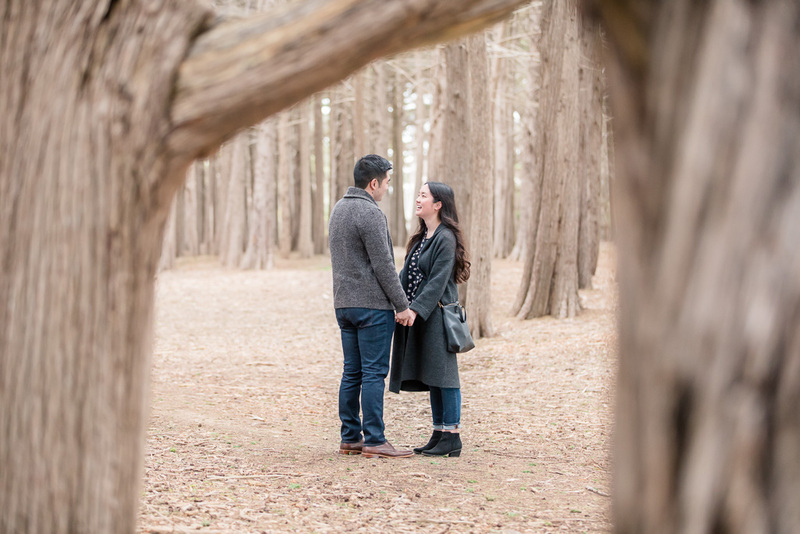 When their trip finally took them to the forested tree tunnel, we were ready and waiting nearby, but we had our cameras hidden until the very last moment so that Grace wouldn’t know we were there for them. 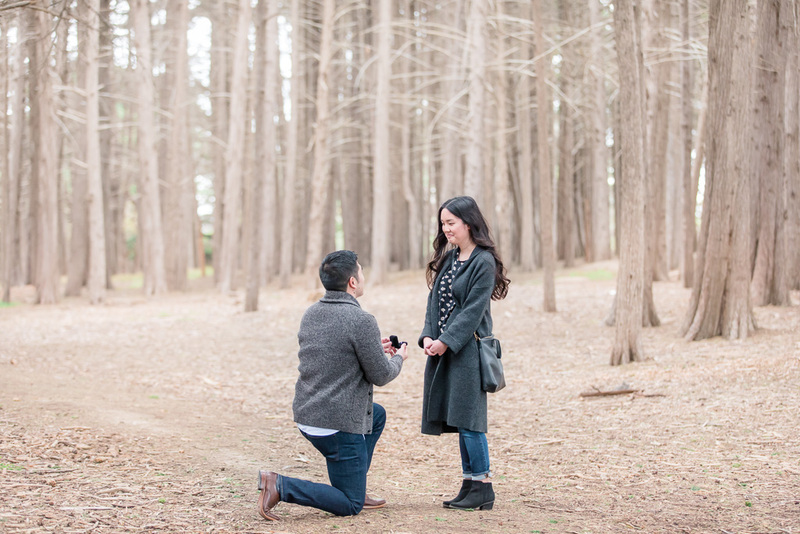 Take a look below to see her saying YES!